Les photographies, sur quelque support que se soit, sont la propriété exclusive de Dame Marteau SAS dont elle est l’auteur. En aucune sorte, ce droit de propriété peut être cédé ou transmis sans son autorisation expresse et, par conséquent, il ne peut être attaché aux biens adjugés. Dame Marteau SAS, conservant la possibilité de diffusion des droits résultant de la propriété des photographies dont elle en est l’auteur. En outre, toute utilisation ou reproduction non expressément autorisée peut engager la responsabilité civile et/ou pénale du contrevenant. Dame Marteau SAS se réserve la possibilité d’exercer toutes voies de droit à l’encontre des personnes qui porteraient atteinte à ses droits. Les ordres d’achat en ligne, les ordres d’achat par courrier et les enchères par téléphones constituent un service gracieux rendu au client. Pour les ventes dites “Cataloguées”, l’acheteur paiera au profit de Dame Marteau, en sus du prix d’adjudication « prix marteau », une commission d’achat de 25% TTC du prix adjugé. Une commission d’achat supplémentaire de 5% TTC est due et ajoutée pour les Buyer’s premium en sus du prix d’adjudication final. Dame Marteau is an auction house specialized in moveable property governed by French Act no. 2000-642 of July 10th 2000. Dame Marteau acts as the seller’s agent. The auctioneer is not a party to the sale agreement, which is solely binding on the seller and the successful bidder. These general terms and conditions of sale, the sale and all matters relating thereto are governed by French law; the sellers, buyers and their agents accept that the courts of Salon de Provence (France) alone shall have jurisdiction over any legal action. These general terms and conditions are independent. Purchases must be made in cash and prices are stated in euros (€). The seller warrants to Dame Marteau and to the buyer that he/she is the undisputed owner of the items offered for sale or that he/she has been authorised by the undisputed owner, that the said items are not encumbered by any claim, dispute, attachment, reservation or pledge and that he/she can legally transfer ownership of these items. The information included in the catalogue is prepared by Dame Marteau with the assistance of the Expert, if necessary, with the care required for public auctions, subject to the notices, declarations and amendments announced upon presentation of the item and noted in the record of sale. This information, including the dimensions set out in the catalogue, is provided to help the potential buyer inspect items and must be assessed personally by him/her. If no information on restoration, an accident, retouching or any other incident is provided in the catalogue, the condition reports or labels or during a verbal announcement, this does not mean that the item is void of defects. Inasmuch as buyers are given the opportunity to examine works displayed prior to the sale, no claim may be made after the sale is complete. In the event of a dispute concerning inter alia the authenticity or origin of items sold, Dame Marteau is bound by a best endeavours obligation; its liability may only be incurred if evidence is provided that it committed a wrongdoing. The estimated sale price appears beside each lot included in the catalogue. It does not include the buyer’s premium or VAT. The reserve price is the minimum confidential price agreed with the seller. If the reserve price is not met, the item will not be sold. The reserve price may not exceed the lowest estimate set out in the catalogue or announced publicly by the accredited auctioneer and noted in the auction house’s files. If no reserve price is set, Dame Marteau shall not incur any liability vis-à-vis the seller if the item concerned is sold at a price lower than the lowest estimate published in the sale catalogue. Purchase order bid forms and telephone bids are submitted using the special form provided. This form must be sent to Dame Marteau no later than two working days before the sale, together with a bank account identification slip (“RIB”) and a copy of the bidder’s proof of identity. For significant purchases, a buyer may be asked to provide a bank letter of credit. If several purchase order forms are submitted for the same item, the first order received will take priority. Telephone bids may be placed by clients who cannot attend the auction. To this end, the client must return the above-mentioned form to Dame Marteau under the same conditions. As there are only a limited number of telephone lines, the necessary arrangements must be made at least two working days before the auction. In both cases, this is a service provided free of charge to the client. Dame Marteau, its employees, agents and representatives shall not incur any liability in the event of an error or omission in the execution of orders received or the non execution of orders. In accordance with the new General Regulations on Data Protection (GDPR), in force from May 25, 2018, and the law “Informatique et Libertés” of January 6, 1978 amended by the law of August 6, 2004, the Sales Operator , as part of its Internet Services is required to collect personal data about the User. The User therefore has the right to access, rectify and oppose personal data by contacting the Sales Operator directly. The Sales Operator may use such personal data in order to fulfill its legal obligations and, unless opposed by the persons concerned, for the purposes of carrying out its business (in particular, commercial and marketing operations). Dame Marteau SAS undertakes not to assign or rent this information to any organization or external company without the prior consent of the User. However, the data may be communicated to the competent authorities if the regulations so require. 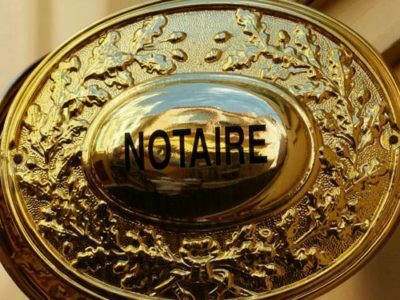 For the sake of the smooth conduct of auctions, bidders are asked to present themselves to Dame Marteau prior to the sale in order to register their personal data. Potential buyers must provide proof of their identity and bank references. All individuals who register with Dame Marteau shall have the right to access and rectify the personal data they provide to Dame Marteau in accordance with the French Data Protection Act of 6 January 1978, as amended by the Act of 6 August 2004. Auctions will be carried out following the order of the lot numbers as they appear in the catalogue. Dame Marteau is free to set the increment of each bid and all bidders must adhere to this process. The highest and last bidder will be the successful bidder. In the event of a dispute during the bidding process, that is, if two or more bidders simultaneously place the same bid, either orally or by a signal, and each claim the item concerned when the auctioneer has declared the item “sold”, the said item will be re-auctioned immediately at the price offered by the bidders and all those present may take part in this second auction. Any individual who makes a bid during the sale shall be deemed to be doing so in his/her own name; he/she shall assume full responsibility for his/her bid, unless he/she registered him/herself as an agent with Dame Marteau and stipulated that the bid was being made for a designated third party. In the event the seller sets a reserve price, Dame Marteau reserves the right to propose bids on the seller’s behalf until such time as the reserve is met. Payment must be made immediately after the sale. If the successful bidder did not register before the sale, he/she must provide proof of identity and bank references. – In cash in euros : for individual european union resident, and for all professionals, to an equal or lower amount of €1 000. – Certified certified bank check in euros subject to the presentation of valid proof of identity. The bank fees of payment in particular of transfer are the responsibility of the purchaser as well as the costs of conversion of currencies. Checks drawn on a foreign bank will not be accepted. Buyers may only take possession of items sold after Dame Marteau has received full payment of the sale price and the related commission and costs. As soon as an item is pronounced “sold”, it shall be placed under the sole responsibility of the buyer. It shall be the buyer’s responsibility to insure the item purchased immediately. In accordance with Article 14 of French Act no. 2000-642 of July 10th 2000, if the successful bidder fails to pay for an item after the issuance of a formal demand that remains without effect, the item shall be re-auctioned at the seller’s request. If the price of the new bid is lower than the original false bidder’s price, the false bidder shall pay the difference. If the seller does not make such a request within one month of the auction, the sale shall be cancelled by operation of law, without prejudice to the damages payable by the false bidder. – the difference between this price and the resale price if the latter is lower, as well as the costs incurred in relation with the re-auction. – the difference between this price and the original false bidder’s price if the latter is lower, as well as the costs incurred by the re-auction. Dame Marteau also reserves the right to offset any amounts which the false bidder owes to it. Dame Marteau reserves the right to ban any bidder who fails to comply with its general terms and conditions of sale from attending any future auction. The French State has a right of pre-emption in respect of certain works of art offered at auction. If the State wishes to exercise this right in respect of a sale, it must express its intention to do so within 15 days of the sale. In this case, the State shall be substituted for the last highest bidder. The buyer may not take receipt of any lot until such time as he/she has paid all amounts due in full. Furniture, paintings and large items sold that are not collected at the end of the sale shall be stored at the premises where they may be collected two days after the sale. Storage costs shall be invoiced to the buyer starting on the 15th calendar day from the date of the sale. Items which are not collected within this time limit shall be stored at the risk and expense of the buyer. All costs owed to the security must be paid prior to taking delivery of the goods. In the event of a payment by check or bank transfer, delivery of the goods may be deferred until such time as the payment has cleared. In this case, storage costs shall be borne by the buyer and Dame Marteau shall incur no liability whatsoever in this respect. If the unsold items are not collected, the cost of storage shall be paid by the seller at the usual rate applicable in such matters.